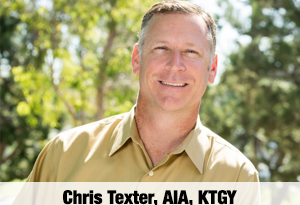 Keeping a finger on the pulse of consumer trends is a critical component of marketing for homebuilders. Before builders launch a new initiative or roll out a marketing campaign, it’s imperative to know what customers are looking for in a new home. Designs and features that not only meet the needs of today’s homebuyers, but also capture their imaginations and demonstrate what is possible in a modern home will help power increased sales for builders. Through market research and our own interaction with homebuyers, TRI Pointe Group knows that savvy homebuyers want to leverage technology to enhance their homes and their lifestyles. That is why we have launched HomeSmart™, a suite of state-of-the-art home technology features that harness the power of internet-connected devices to elevate the homeowner experience. HomeSmart™ highlights the progress each of our homebuilding brands and its divisions have been making in the areas of home technology and seamless connectivity. HomeSmart™ adds a fifth component to our holistic LivingSmart® program, which seamlessly blends the design, construction and operation of high-performing homes to provide healthier, more comfortable living environments with lower operating costs. The simple yet effective name of each LivingSmart® component conveys the importance of these features to customers. For example, HealthSmart® includes features and finishes that contribute to improved indoor air quality through the use of low-emission carpets, countertops, and other building materials. EnergySmart™ refers to features that reduce energy use through advanced construction techniques for the building envelope and the addition of solar, ENERGY STAR® appliances and low-e windows. EarthSmart® includes products or practices that relate to recycling and use fewer resources. Finally, WaterSmart® describes home features that help reduce water consumption with low-flow devices and drought-tolerant landscaping. As the newest addition to our LivingSmart® program, HomeSmart™ taps into the potential of the Internet of Things (IoT). IoT is everywhere and its adoption is only expected to expand. According to research from Gartner, the typical family home could contain a whopping 500 smart devices by 2022. 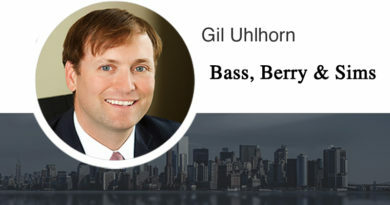 IoT represents a huge opportunity for builders to meet and exceed customer expectations by delivering smart home solutions that make life more convenient, comfortable, and connected. Comfort and control. Comfort and control provides energy savings at home or remotely by allowing homeowners to control temperature, lighting, and much more via smart phones and tablets. Access and Security. Access and security affords peace of mind and ultimate convenience by letting residents monitor who’s coming and going, and granting entry to service providers and guests even when they are away from home. WiFi connectivity. WiFi connectivity means that homes are pre-wired for a central wireless access point that, together with a wireless access point and wireless router, ensures a consistently strong signal and keeps the smart home components working seamlessly while providing enough bandwidth for streaming things like music, movies, and games. Always looking ahead at what tomorrow’s homebuyers will want in a home has led TRI Pointe Group to introduce leading-edge technology features at its newest communities across all of its builder brands. 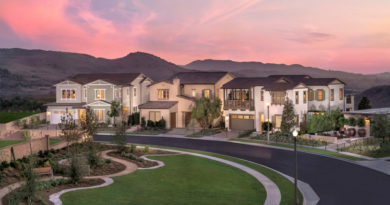 For example, Pardee Homes has incorporated Amazon’s wildly popular Echo voice control system, Alexa, into the Arista model homes at its Aliento™ master-planned community in Santa Clarita, California. Pardee Homes also offers other connected features such as the UniFi® AC Pro wireless access point, high-speed Category 6 cabling, Honeywell WiFi thermostat, Schlage® Connect entry locks, Liftmaster® WiFi garage door openers, Ring Pro WiFi camera and doorbell, Lutron Caseta® light switches in selected locations, and the Samsung SmartThings™ hub at Arista. Ultimately, HomeSmart™ and the broader LivingSmart® program exemplify how TRI Pointe Group is constantly updating our offerings to stay in tune with what today’s buyers are seeking and delivering smart home solutions that enrich our customers’ lives while contributing to their health and well-being, as well as our planet. 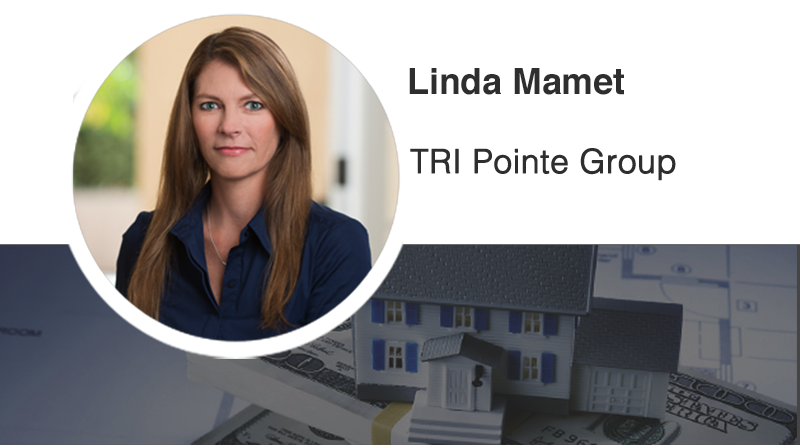 Linda Mamet is Vice President of Corporate Marketing at TRI Pointe Group. She may be reached at Linda.Mamet@TRIPointeGroup.com.